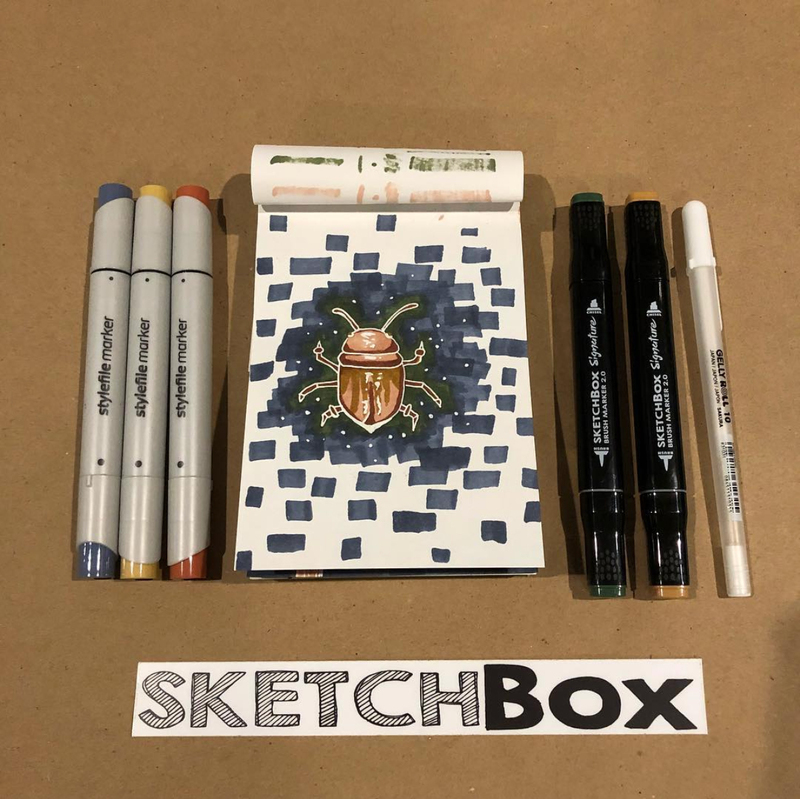 Our November 2018 Basic Box focused on illustration markers! It included three Stylefile brush markers, two of our brand new SketchBox Signature Brush Markers, and a white Sakura Gelly Roll with a bold point. This box is great for illustrators and those wishing to try out new and unique kinds of markers. The photo of this box was taken by our talented subscriber @artsy.a.b on instagram check them out!